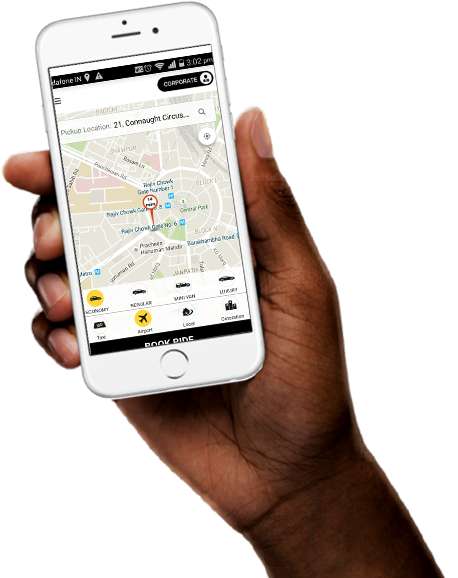 You can track your driver as he arrives, so you know when he is reaching exactly. Also you pay for the GPS distance calculated automatically during the ride. GPS Based tracking and billing to meet all corporate travel needs. Saving on your Corporate Transportation expenses. Carzonrent and Emirates airlines have been in an alliance since the year 2008. We have been providing luxury vehicles to Emirates airline’s first class and business class passengers across 5 metros i.e. Delhi, Mumbai, Bangalore, Chennai and Hyderabad. To serve this purpose Carzonrent has a dedicated fleet of Mercedes C class and above vehicles just for Emirates airlines. All vehicles are well maintained and have been provided with all the latest amenities so that the passengers experience the same comforts as they have experienced during air travel. Our fleet and quality teams conduct regular maintenance checks on every vehicle before it goes out on an Emirates duty. Our chauffeurs are well groomed and have been provided with advance training which includes road safety and discipline. The uniform of a Carzonrent chauffeur that goes on an emirates duty is a black Jhodpuri suit with gloves and a chauffeur cap. When a chauffeur goes to receive an Emirates airline passenger he takes along with him a placard with the emirates logo and the passenger name and flight number mentioned on it.Each airport destination form where Carzonrent provides pick up and drop facilities to Emirates airlines passengers even has a local Carzonrent representative to help out passengers reach the right vehicles and minimize any delays. Once a duty is completed the passenger is supposed to sign a duty slip which contains all the necessary details related to the duty so that there is transparency in billing. Carzonrent even has a dedicated operations and fleet team based out of the various regional offices and the command center just for Emirates airlines. It is because of the comfort, safety and quality of service that Carzonrent provides, that Emirates airline continues to be associated with us. This is to Token that Carzonrent always handle all our HCL Technologies booking in very professional and spick and span all our urgent request to - The best thing about operations team always give update on all the booking with prior cab details and professionalism and I really appreciate the way of airport transfer assisted and The billing system is very advanced. After Carzonrent diligences to HCL the grumbles has reckoning reduces from our employee and client and they are very happy about the services. Carzonrent team always come out to discuss our needs and give us facts and accurate information whenever needed.I value the service and Thank you again and may we continue a long fruitful business relationship. We can always count on Carzonrent to handle our needs with the urgency we require. In this busy world we live and work in, this is very much appreciated. The best thing about working with Carzonrent is the people and professionalism. We have an on- going situation with Carzonrent car hire service, that takes very little handling on our end. Once they have the information, they take care of the rest. Carzonrent has some of the most professional people I have worked with, and they give us perfection every time! What’s unique is that they put a tremendous amount of focus on building a trusted partnership with us. Once they understand your business, make the appropriate calls to see if they can better serve you. In a service business like Rent a Car, Carzonrent really stands out because of its customer service and positive approach. They always come out to discuss our needs, give us facts and accurate information whenever needed. I value the service and easy relationship we have developed over the years. Unfortunately we do not provide service in this City/Vehicle Type combination. Please choose another. Thanks! Someone from our Sales team will be reaching out to you soon on the details provided. 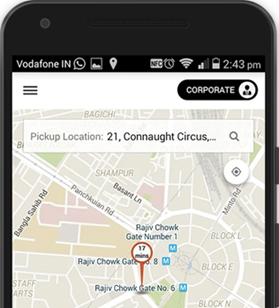 Download the most comprehensive travel application in India to plan your business and leisure rides.